The other day, I was about to mail a gift, and realized that I ddin’t have a Christmas Card to stick inside. Ruh-roh. I quickly made one up and thought I would share it with you guys! 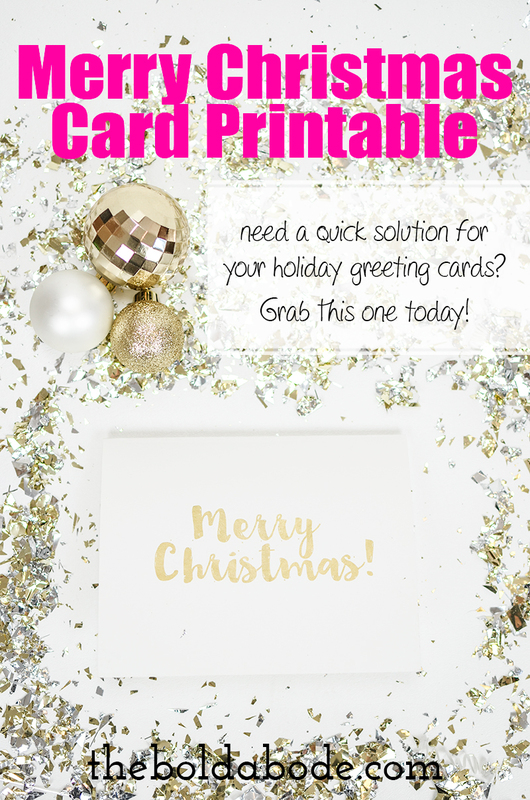 It’s just a simple Merry Christmas Card printable, but I love simplicity this time of year. Don’t you? It’s designed for a 6 1/2 x 10 foldable card, (so the folded size is 5 x 6.5) but you can always print it out on a larger piece of paper and trim it off. I have a stash of blank cards this size so it works perfectly! You can find blank cards like this at your local craft or office supply store. These cards from Amazon might work! 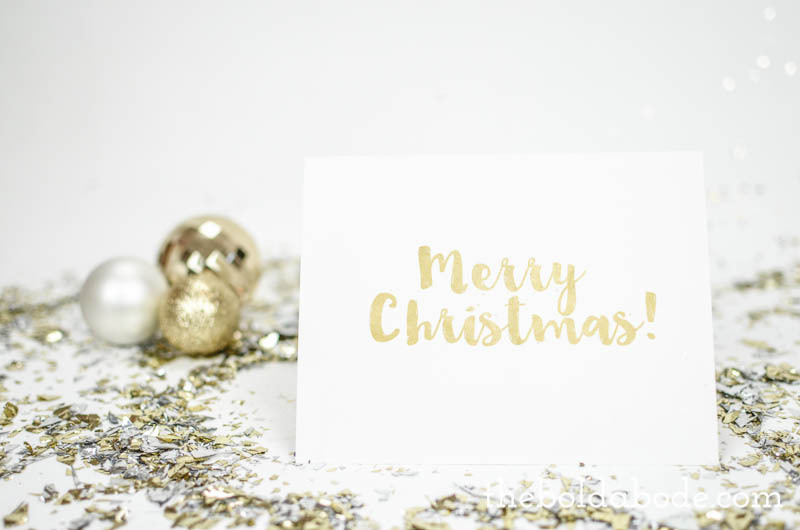 Just download this Gold Foil Merry Christmas card and print away! One note when printing: Print a test one first to see how the margins are. I had to set my left margin to 1/2 ” for the text to center. Sometimes, these things are funny like that! P.s. You can visit my Christmas Gallery and check out all the pretty, new gold Christmas projects I’ve been working on. Go for the Gold, baby! Check out Deck the Organized Halls today. Just pop in your email, and I'll send it asap! Success! Now check your email to confirm your subscription and download your free sample! Yes! I'd like to sign up for the newsletter and receive 10 weeks of Gold Foil Printables for free!